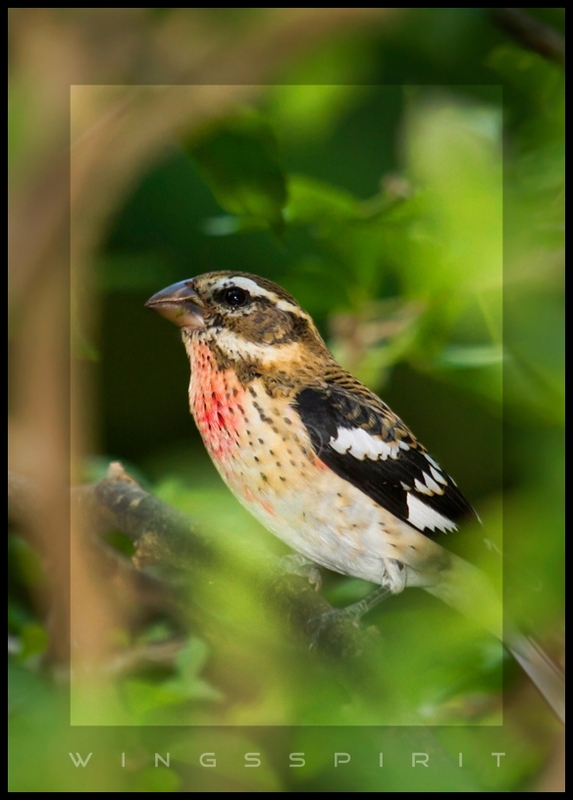 During spring and fall migration, birders are excited to spot all migrants and experienced birders are keen to report vagrant and rare birds. However fall migration could be challenging. Not only do most birds not make their normal calls, most warblers' fall plumage can make identification even more confusing. Despite busy work schedule, I still manage to bird as much as I can and photograph whenever I have a chance. Most of the images you are going to see here might not be their adult plumage, and that is the fun of fall migration! I photographed this juvenile Rose-breasted Grosbeak few days ago while chasing a Tennessee Warbler. This young bird was a great observer. He perched on a hardy Hibiscus tree and watched how cardinal got on the feeder. He tried to fly onto sunflower seed feeder but was not successful until few tries. As you can see his rose chest is not as red comparing to an adult male. But I am sure he will be a handsome male when he returns in spring. 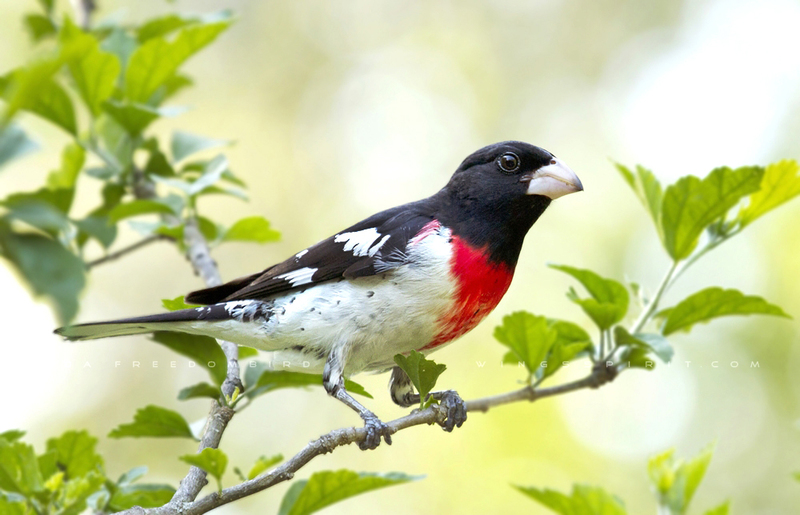 Check out my previous post of a pair Rose-breasted Grosbeak. 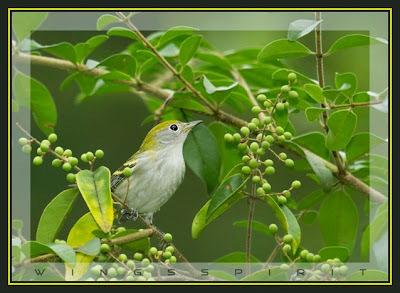 Chestnut-sided Warbler (image of a breeding male) is a good example that how confusion it can be during fall migration. Breeding adult has a bright yellow crown, black mustache stripe , yellowish wingbars and the chestnut strips on both sides just under the wings. Female is duller overall. In fall, males lose most of facial pattern and sometimes you would only see very light rufous on the sides. Immature Female, as you can see in this image, would be easily considered to another species for a novice birder. Among all 37 warblers spotted in Georgia, Pine Warbler (PIWA) is a common resident here. I started seeing more of PIWA in the month of September. 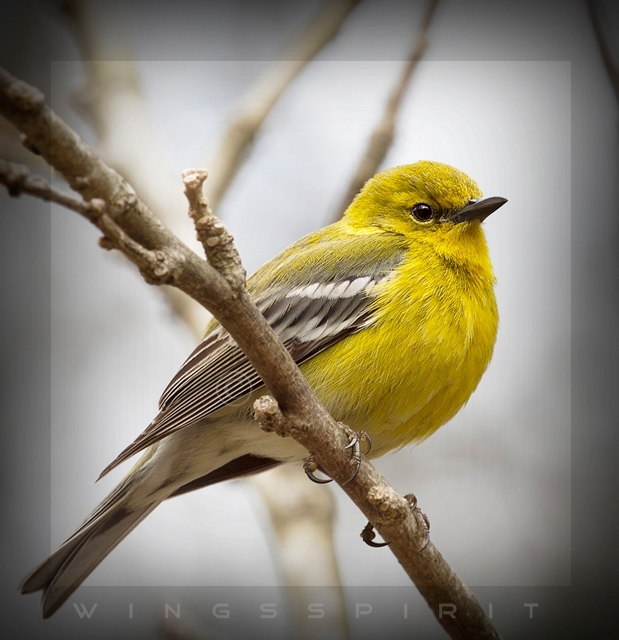 When American Goldfinches lose their golden color in autumn, Pine Warblers bring sunshine to brighten a gloomy day. Following this link to see a video post of PIWA I made in the past. The following three images are poor quality photos and they are for ID purpose only. Many thanks to my good friend James Fleullan and Patty McLean for ID these three species. GABOers rock!! When I checked my other failed shots for the same day, I did find a better shot of Wilson's.Tks James, you are awesome! The 1st image is of an American Redstart. The 2nd is of a Wilson's Warbler and the 3rd is a Black-throated Green Warbler.